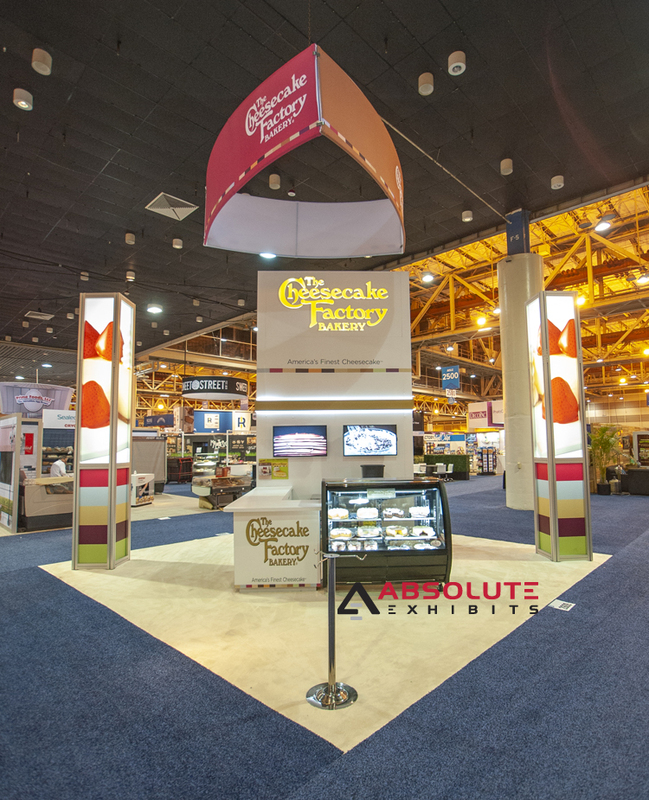 6 20x20 Trade Show Booth Design Ideas | Absolute Exhibits, Inc. 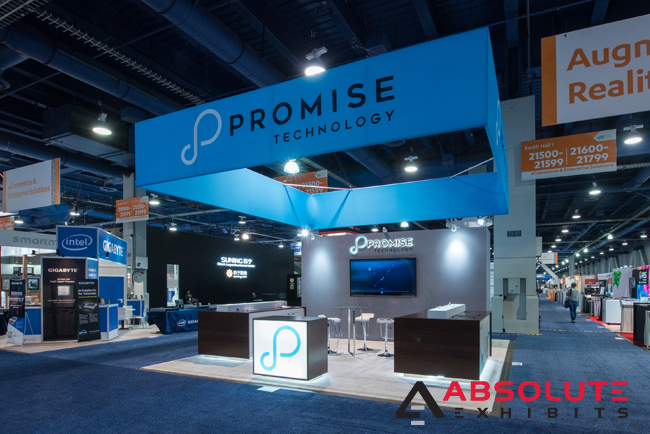 Nothing stands out on the exhibit hall floor like a hanging sign over your 20×20 trade show booth. Often constructed of fabric, these are a great way to announce your place on the exhibit hall floor. Hanging signs can range from double sided to single sided, square, round, or even made of more creative elements such as LED cubes. Nothing encourages trade show attendees to visit your 20×20 trade show booth like an open floor plan. When spaces are too closed off, attendees can be dissuaded from visiting your booth. An open floor plan can encourage a flow of traffic between demonstration areas to meeting areas, and product showcases. By making it difficult to enter your 20×20 trade show booth, you’ll actively discourage people from visiting instead. 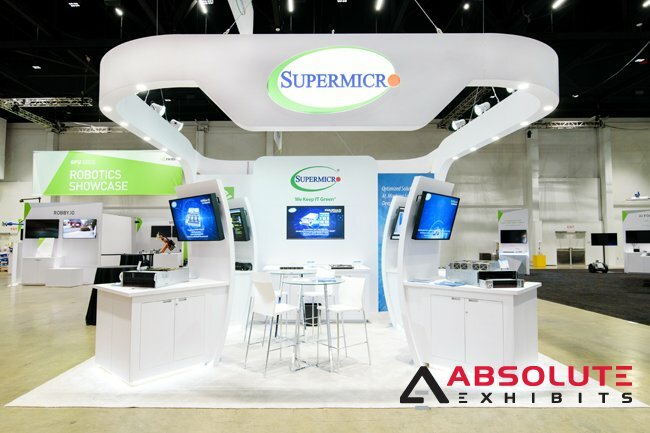 Nothing stands out in your 20×20 trade show booth like brightly lit graphics. These can attract attention to your booth from across the exhibit hall. Consider what you’d like to feature on your graphics and the messaging that will pop when illuminated. This can be key to attracting more people to your 20×20 trade show booth. 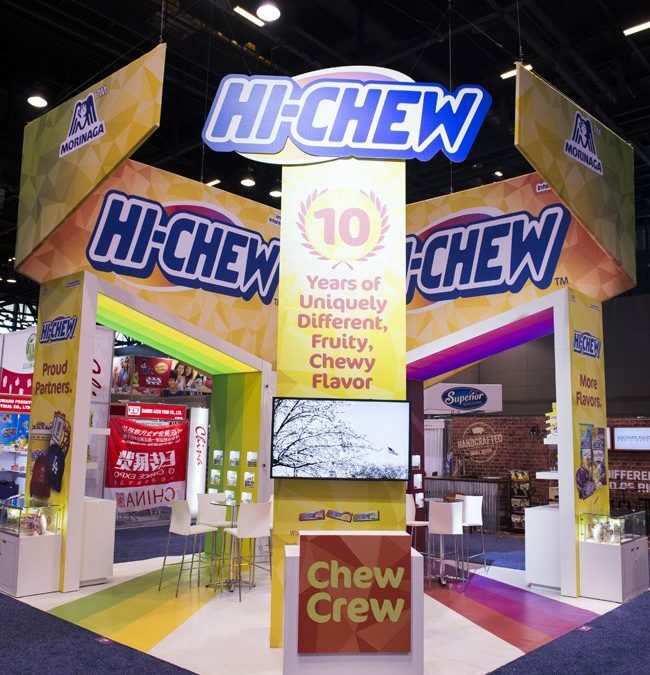 One of the trends in trade show booth design today is the use of oversized props. Oversized props can really draw attention to your 20×20 trade show booth because they provide a focal point for attendees. 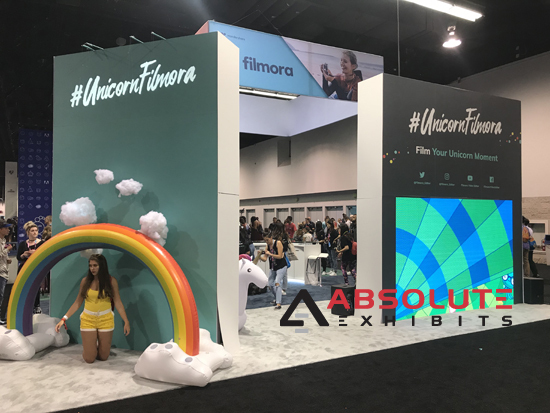 Whether you construct an oversized prop such as a camera, or provide a blow up unicorn, an oversized prop captures the attention of trade show attendees. This is why they’re such a popular option for a 20×20 trade show booth. Touch screens provide a great way for people to interact with your goods and services in your 20×20 trade show booth. Whether testing your service or software or playing a game that highlights your product, touch screens provide a tactile experience for trade show attendees. Whether you provide additional sensory experiences or not, including touch screens in your 20×20 tradeshow booth is a great idea. 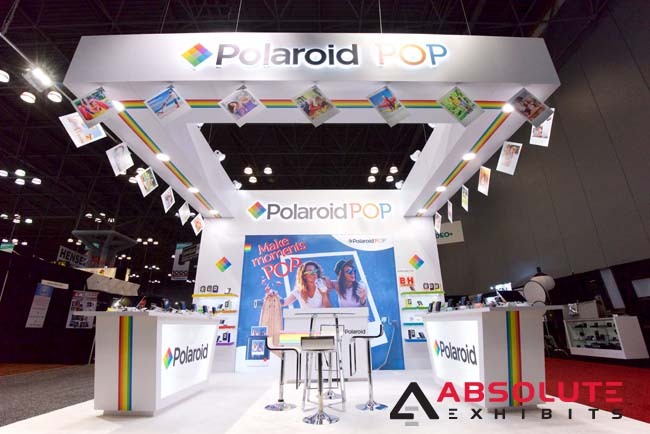 Increasingly, exhibitors are adding photo booths and fun backdrops for attendees to take photos in their 20×20 tradeshow booth. This encourages a sense of fun and immerses them in your brand experience. It can be rather inexpensive to design a creative backdrop for your trade show attendees to take photos and share them online. 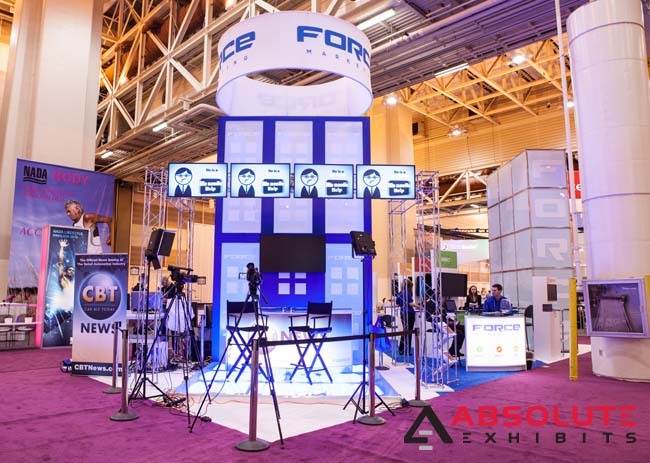 If you’ve just upgraded from a 10×10 or 10×20 to a 20×20 trade show booth, these ideas can help you to design the best booth for your next trade show. Congratulations on the upgrade and taking your first steps towards standing out on the trade show floor.